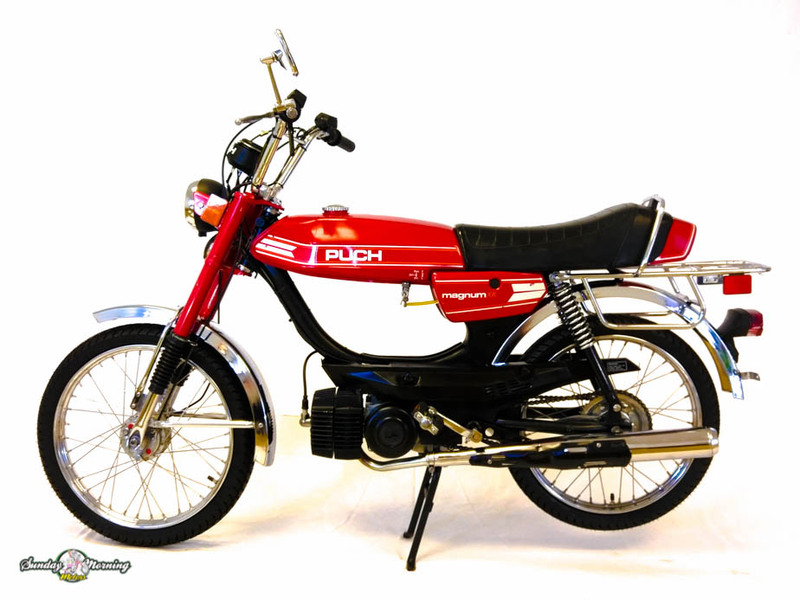 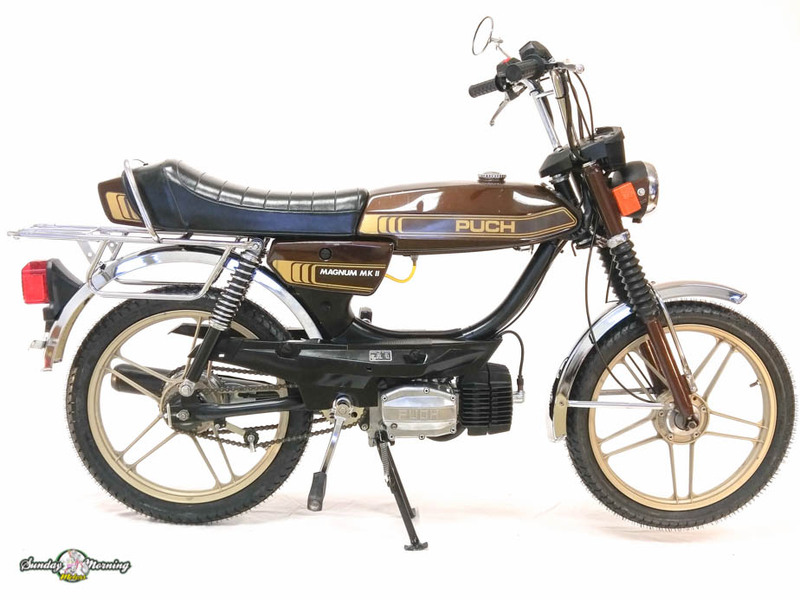 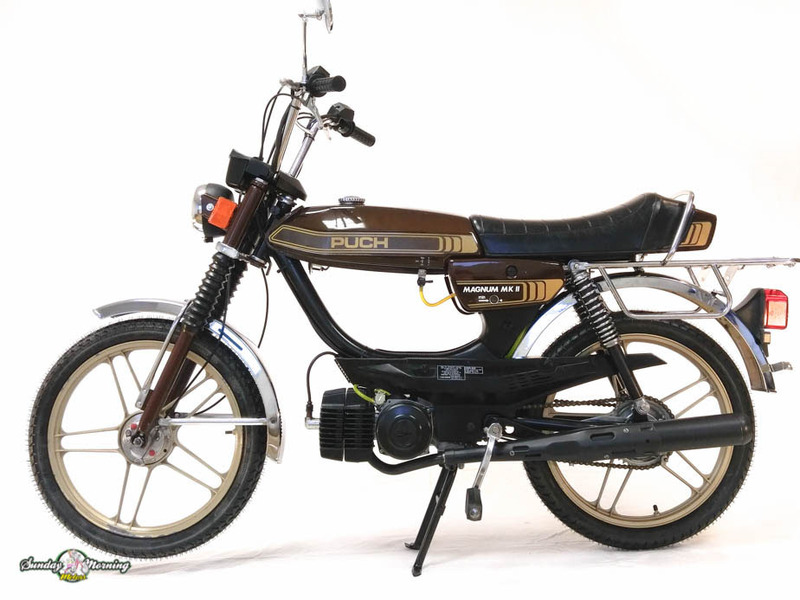 Puch Magnum MKII mopeds are a large top-tank style moped, but ride more like a small motorcycle. 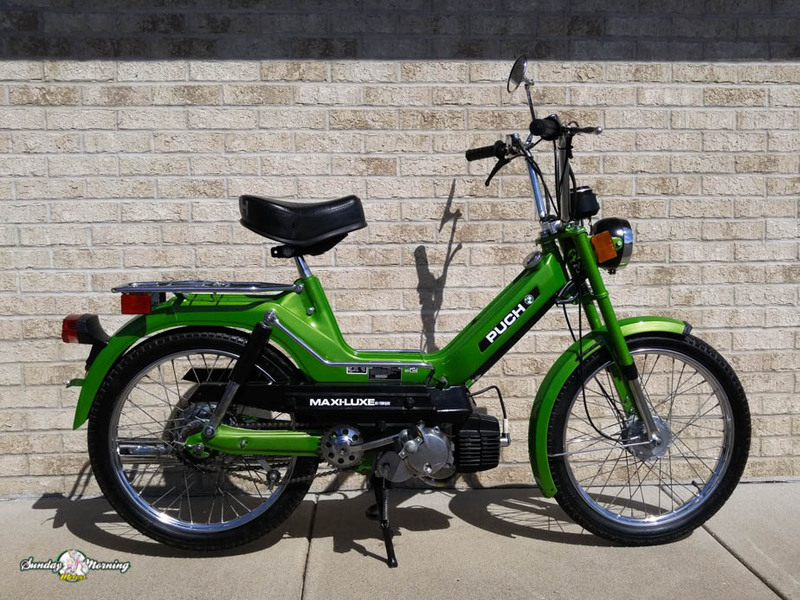 Hydraulic forks and shocks make this a good choice for longer rides. 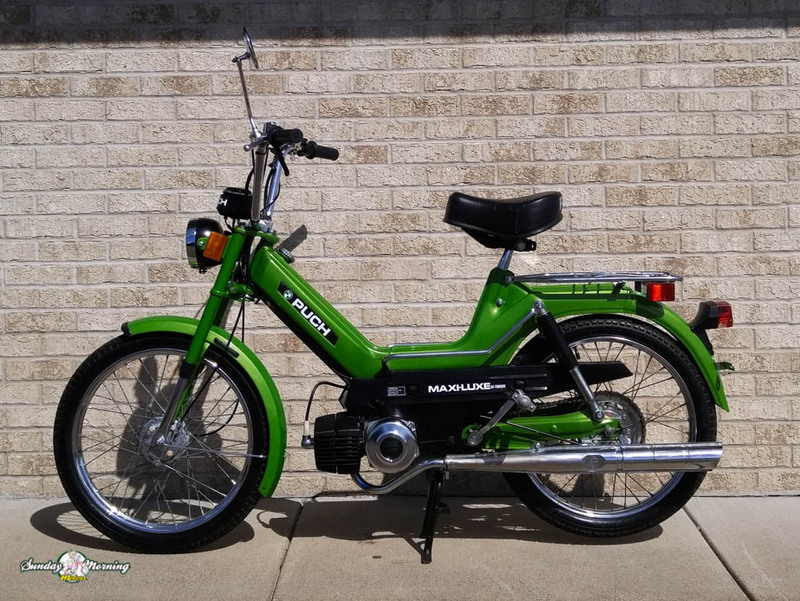 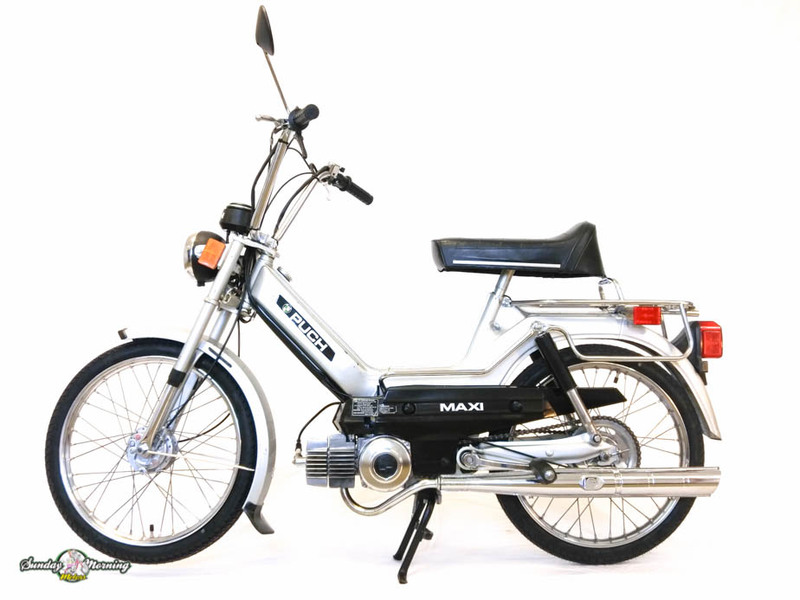 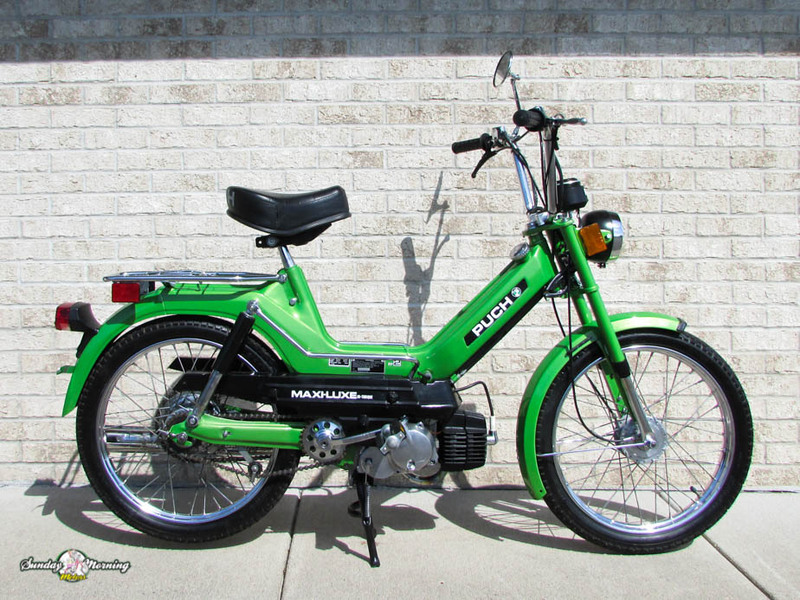 MKII mopeds also have a 2 speed fully automatic transmission, so it is also an excellent choice for heavier riders or riders who reside or commute in hillier areas. 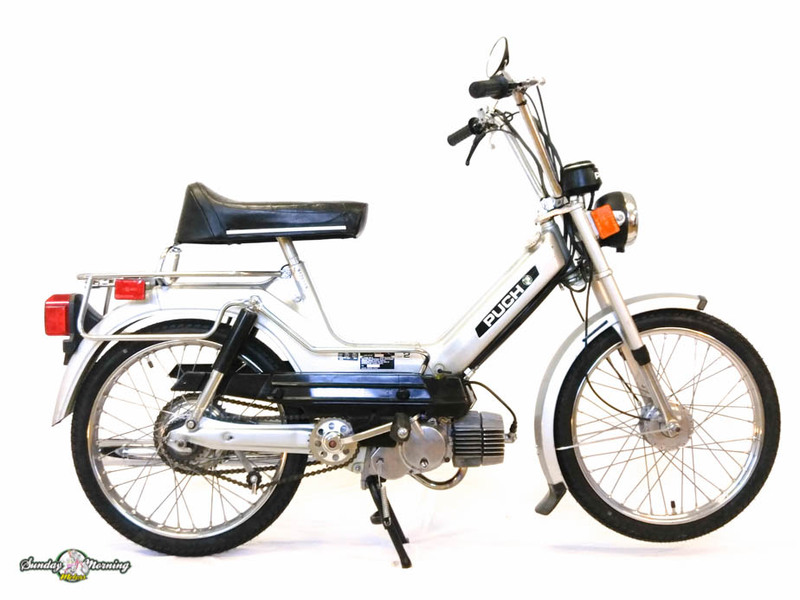 The engine is very up-gradable and can be modified for more speed or power with some basic mechanical ability. 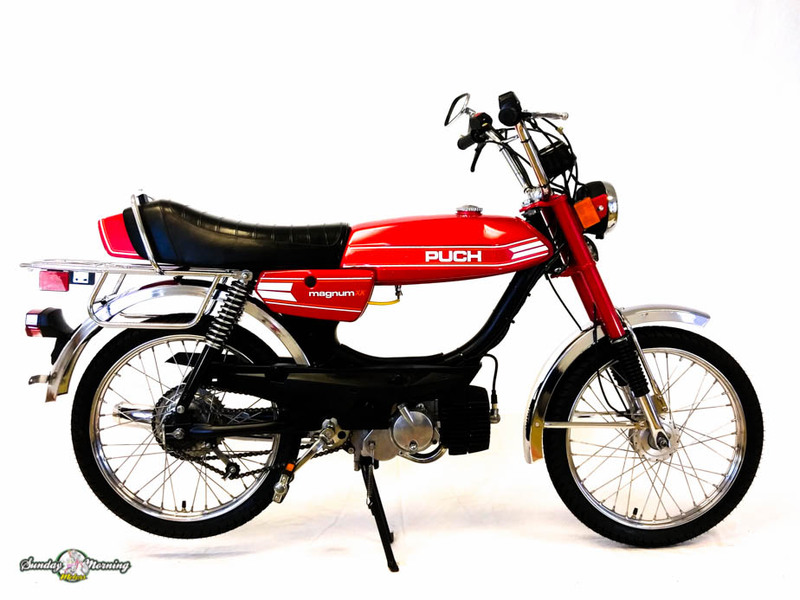 Absolutely beautiful 1978 Puch Magnum XK that has been reconditioned and is waiting for a new owner that will take very good care of it for many years to come. 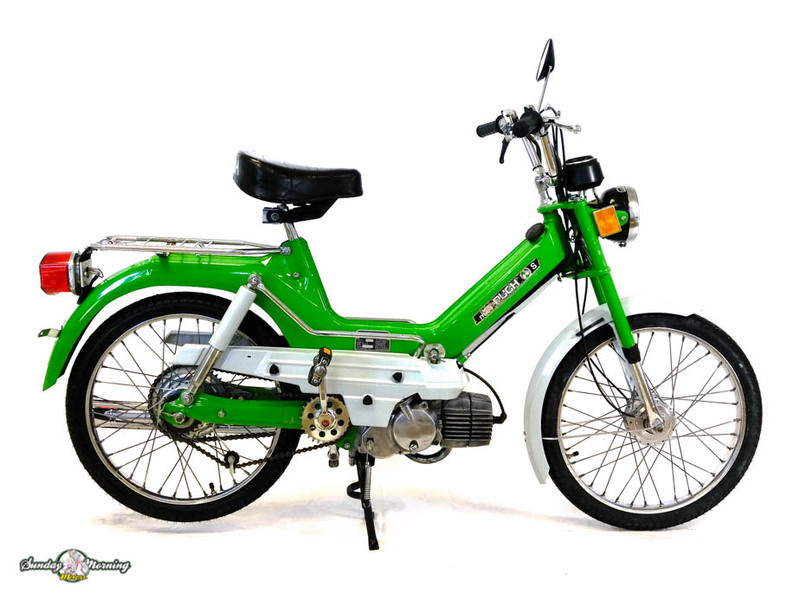 It has a rebuilt E50 single speed engine that we gently enhanced internally enough to give it just a little bit more speed and power than was originally intended. 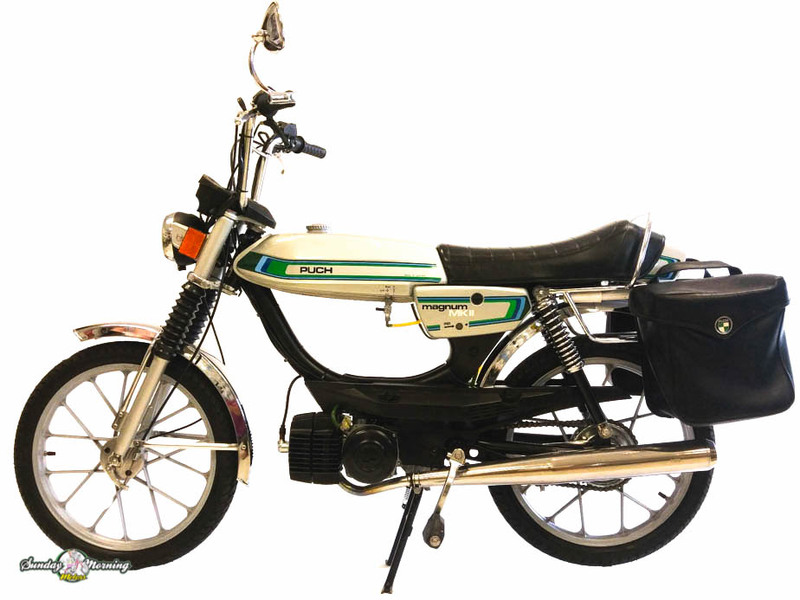 We also installed a pair of very firm Michelin Gazelle tires that will help reduce drag and also support heavier riders. 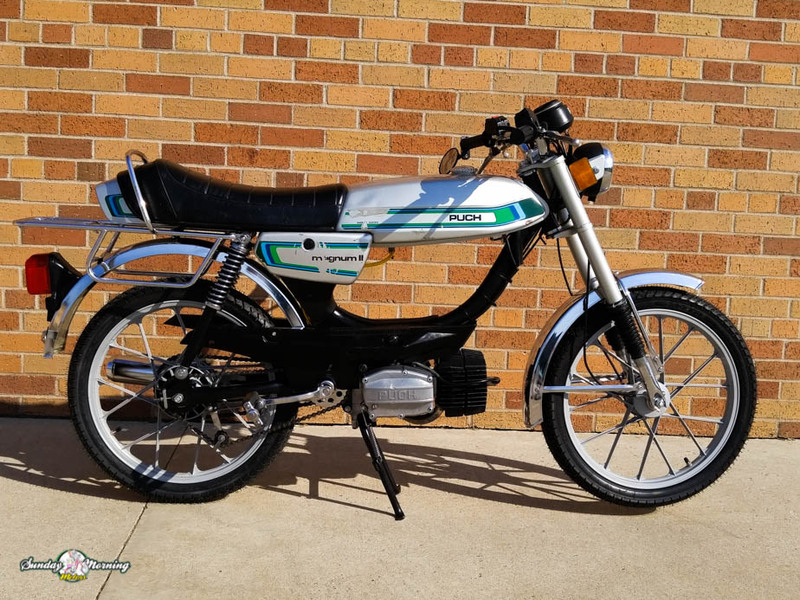 Contact us today and we will hold it for you until warmer weather prevails, then we will deliver it to your driveway at no extra cost (Twin Cities/St Cloud, Minnesota only) . 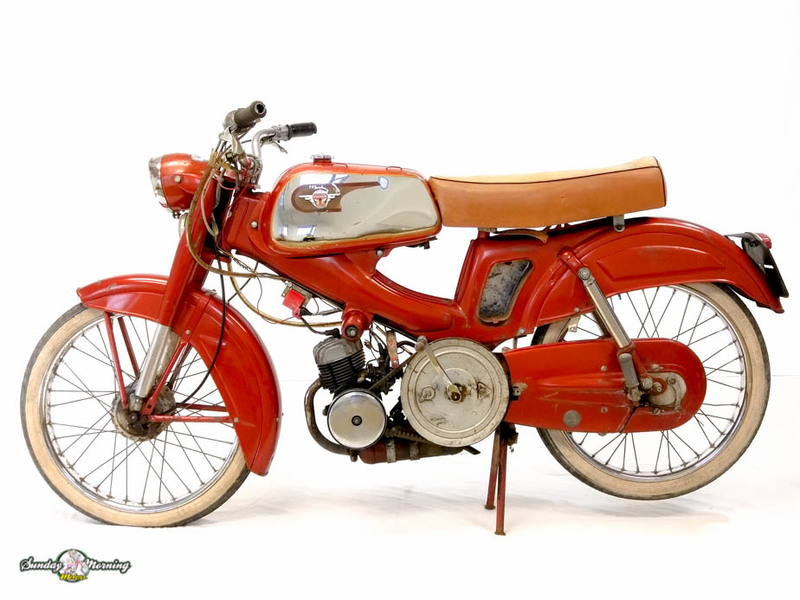 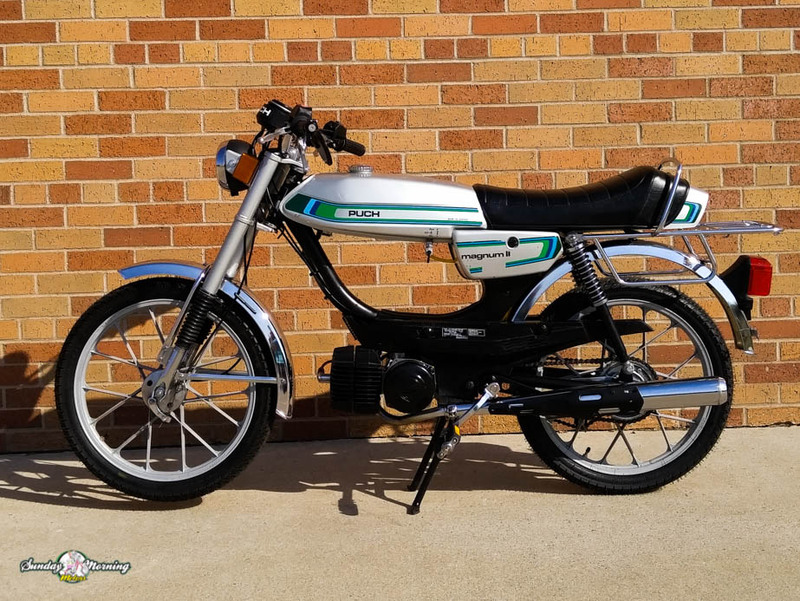 You won’t have to worry about break downs either; this moped comes with a warranty! 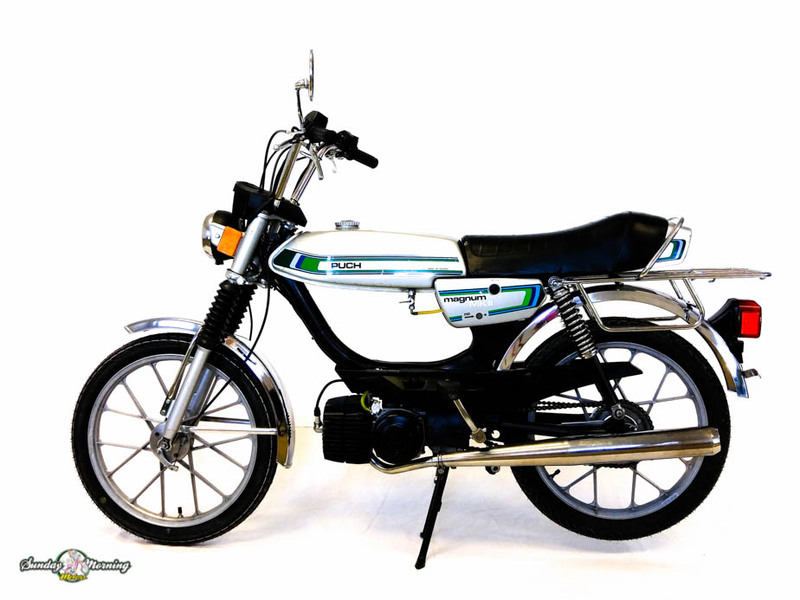 You can also buy it now here if you wish. 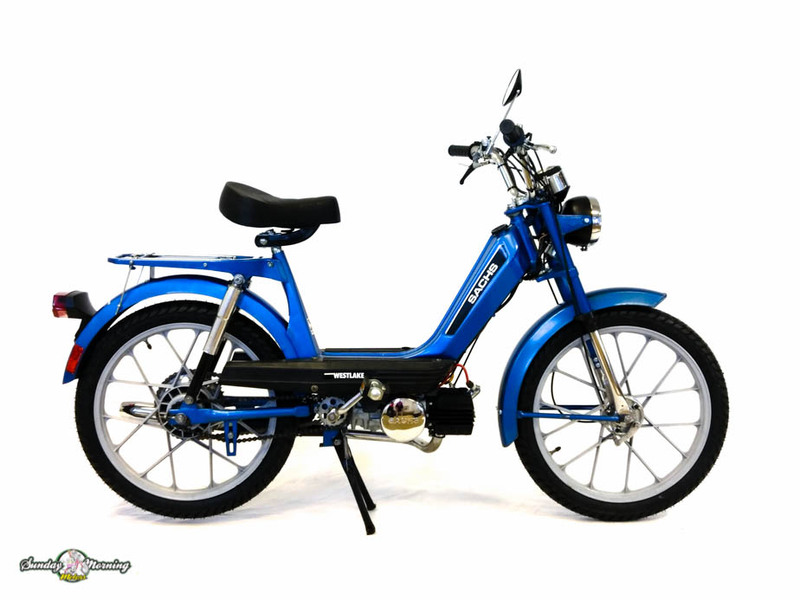 Free Delivery between the Twin Cities and St Cloud metro areas (Minnesota, USA) and a 30 day warranty. 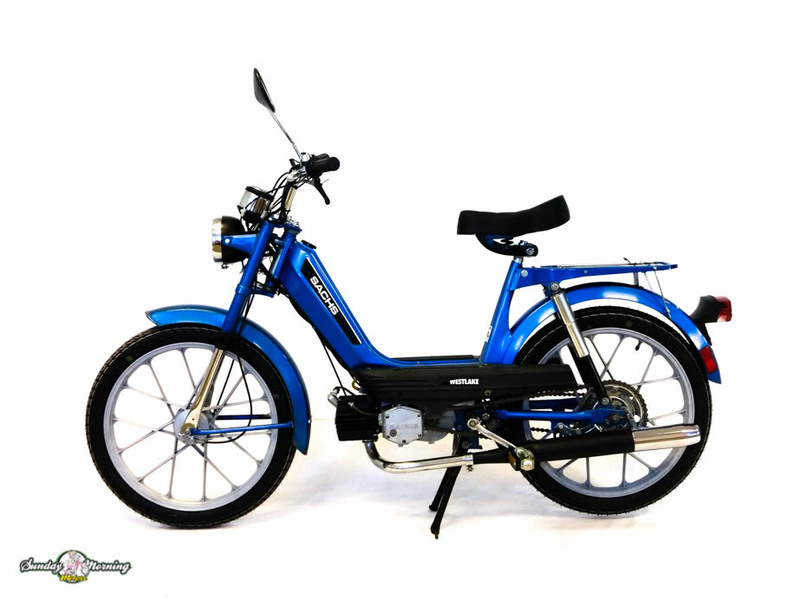 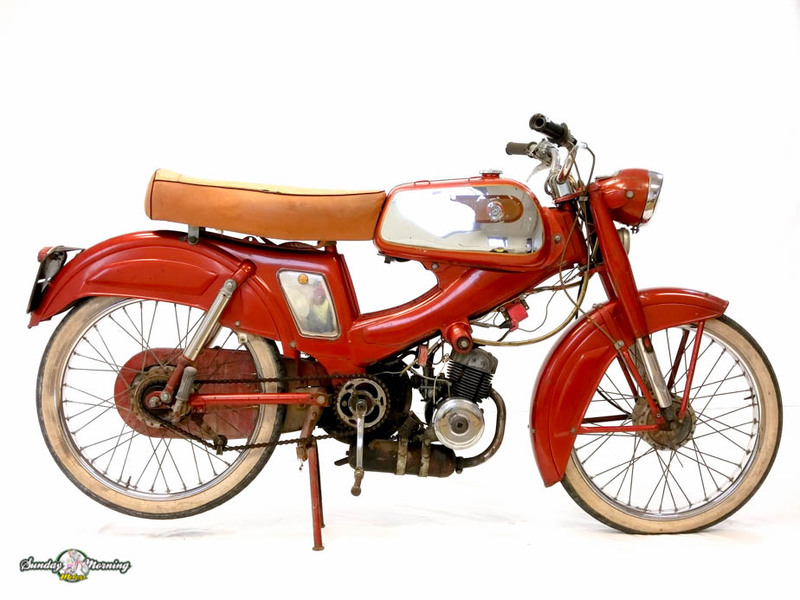 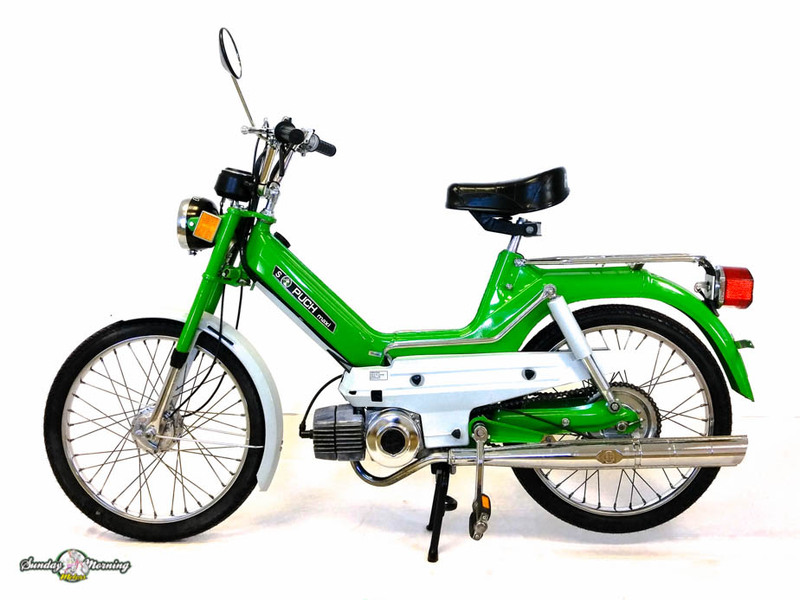 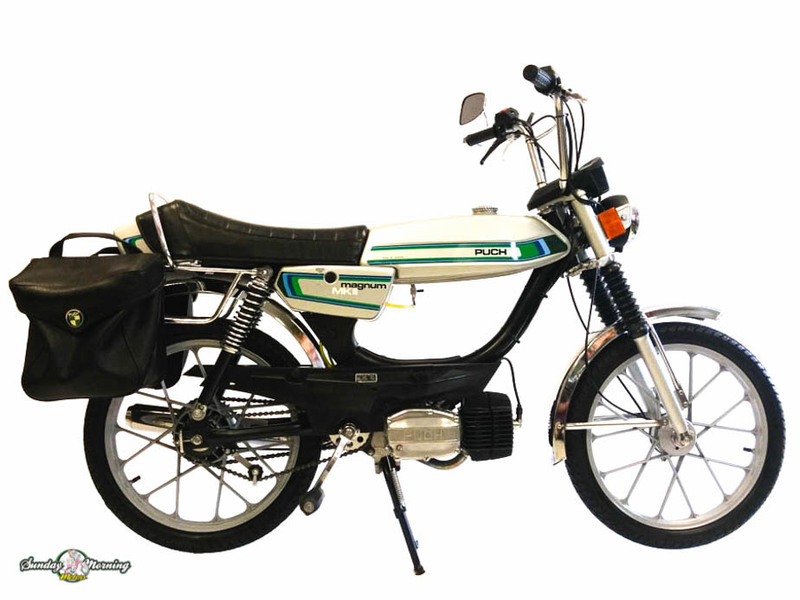 Purchase it here now or contact us for more information or to reserve this beautiful classic moped.